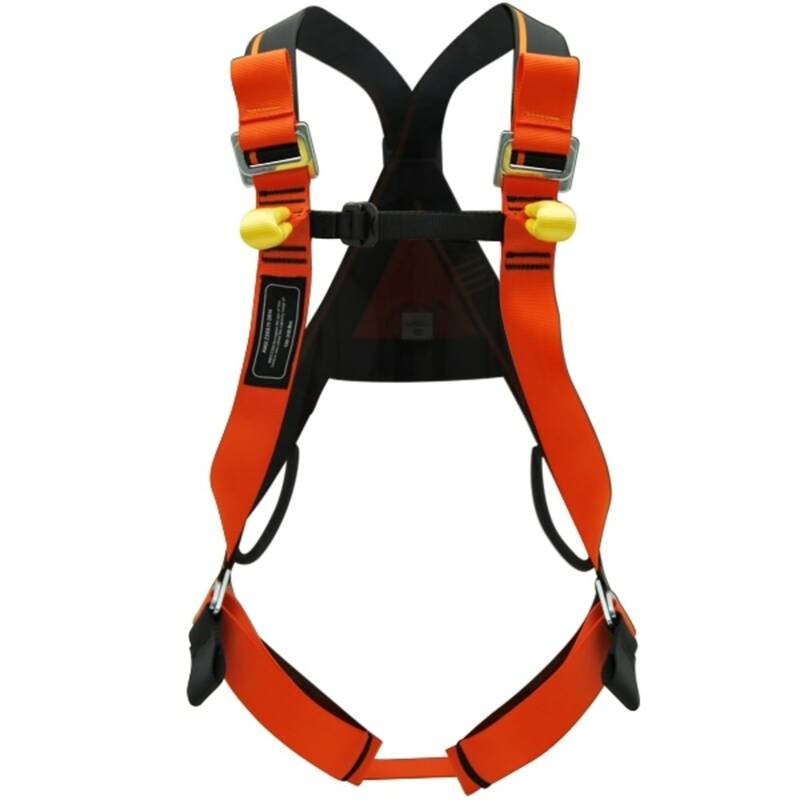 Full body harness for safety at work, light, practical and comfortable. 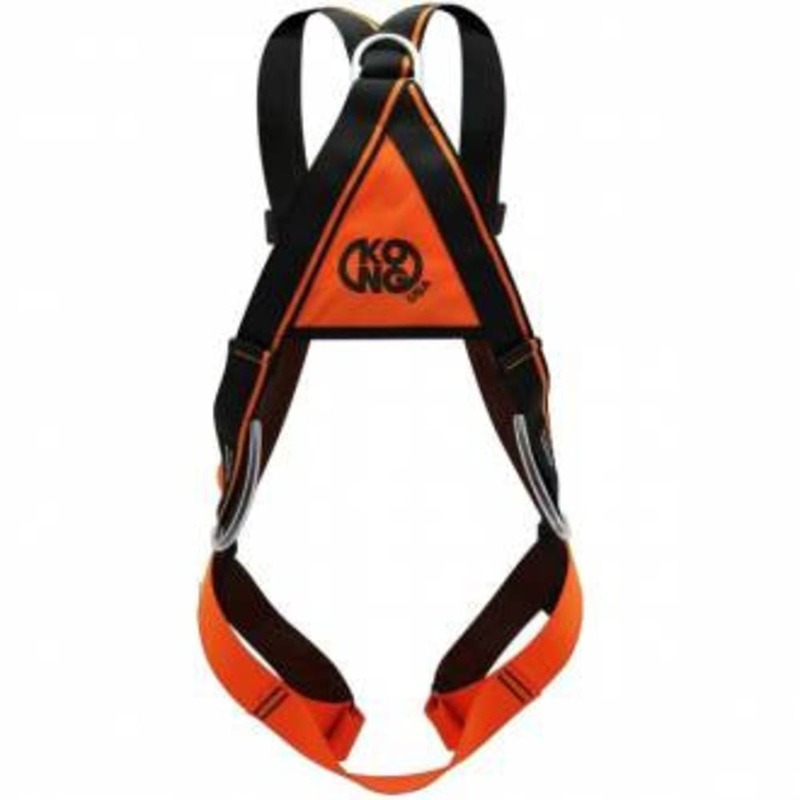 Equipped with load indicators that show any falls and therefore the need to replace the product. 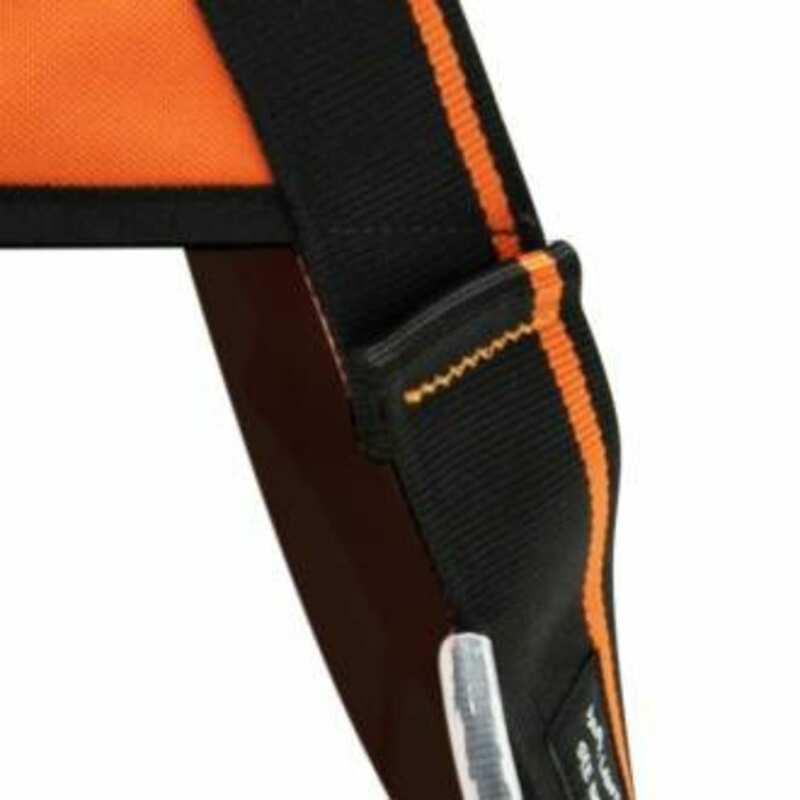 Equipped with two attachment points (sternal and dorsal). 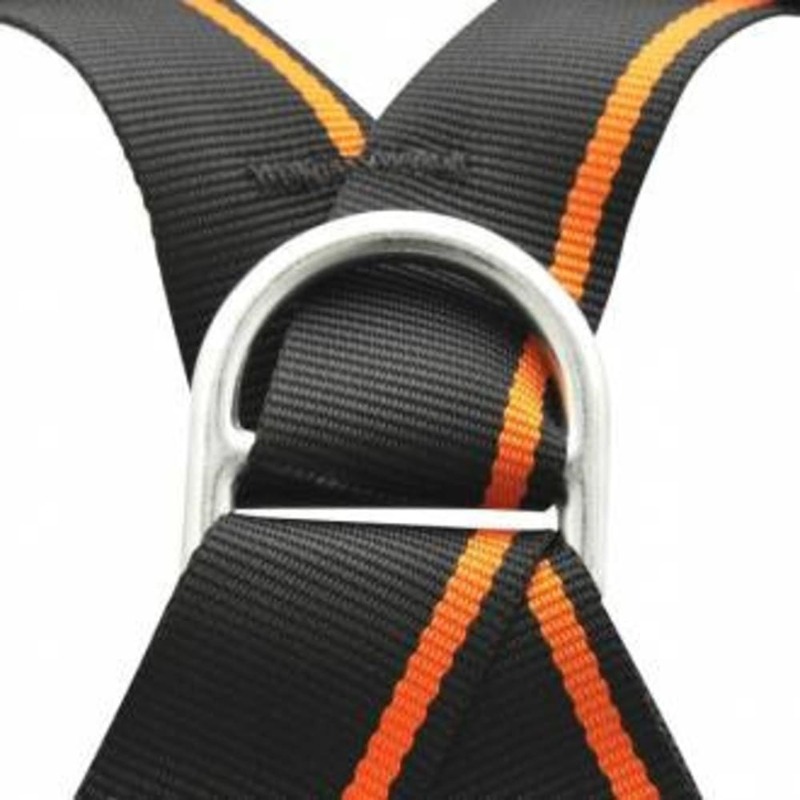 Buckles and dorsal attachment point made of steel. 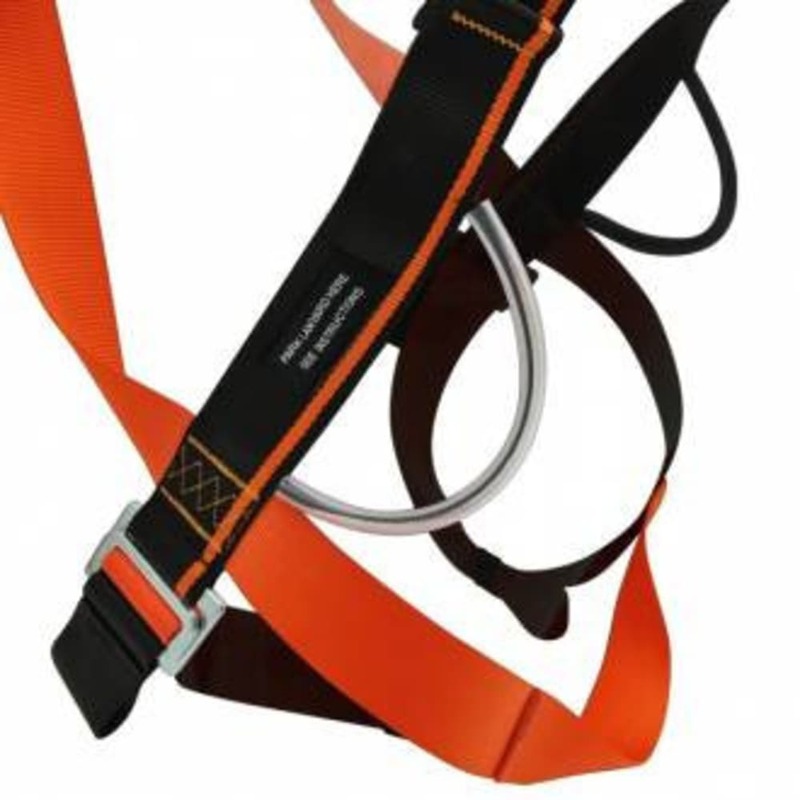 Equipped with two large gear loops in laterally retracted position. Available in two sizes (M/L and XL) easily distinguishable thanks to the rear triangle of different colors. 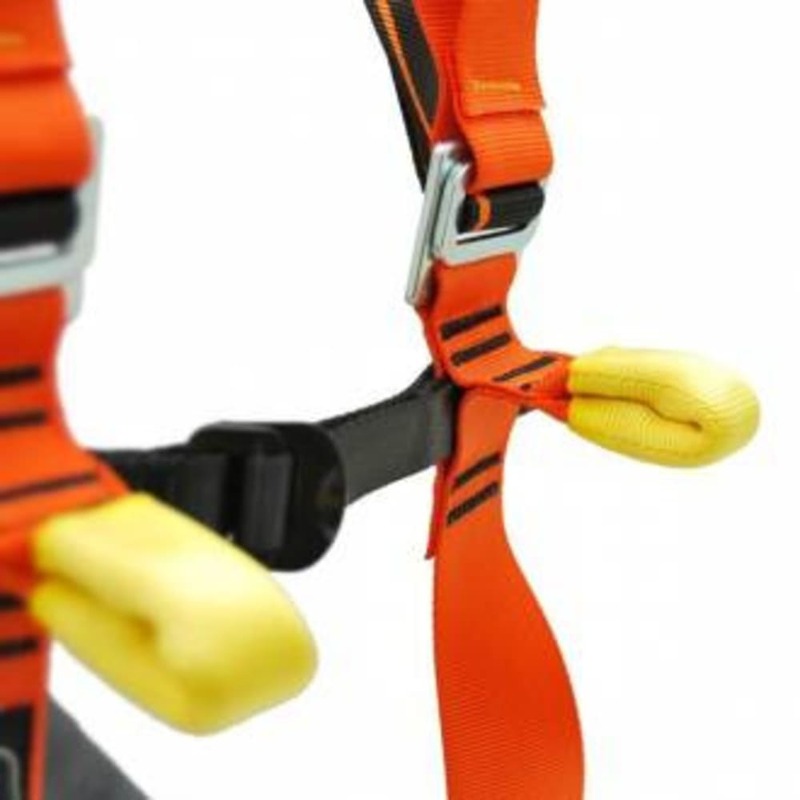 It can be used with Safety Belt # 8W.002 equipped with side attachment points that allows the use also as positioning harness.